← Zip Line Park – why aren’t we doing this in Canada? We leave Italy in a few days and we had intended to visit Venice while we were here. So that means today. 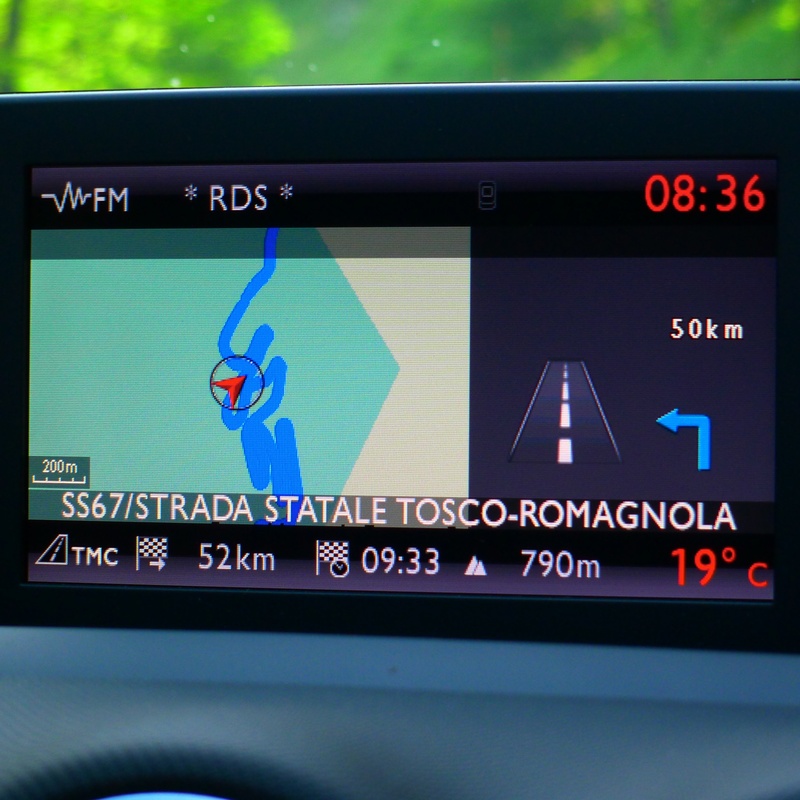 Off we go, leaving the province of Tuscany and through to Romagna on nothing other than a spaghetti road. 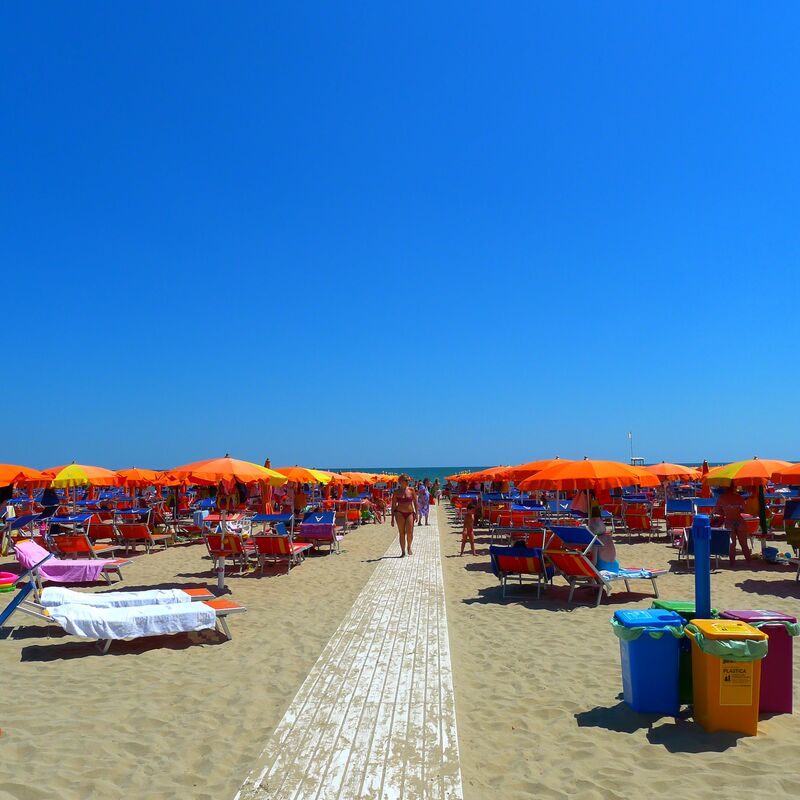 We have been told by a Romagnian that Cervia is a nice place to visit, as we were wanting to swim in the Adriatic on the way to Venice. The drive out to the coast was interesting. Once we punched through the Tuscan hills the land levelled out. The whole culture here seems to figuratively stretch it’s legs: the architecture changed and begins to sprawl a bit; people drive larger vehicles (probably because the roads are normal sized out here); things are simply spread out here. We drove past fields of sunflowers, standing at attention, their faces pointed upward to the sun, salt flats with men raking the beds of salt and neighbouring flamingos meandering through the salt marshes, and finally out to the coast. It is another day of sunshine and a thermometer pushing 40. Too hot and intense for us freckly white folk. The drive through Cervia reveals a city that looks vibrant and busy and at the same time has that trademark vibe of a beach town. Once we find a shady spot to leave Stinky, we make our way to the beach. I have never seen anything like it. There are – and this is absolutely not and exaggeration, 10’s of thousands of umbrellas stretching along the beach as far as the eye can see. Side by side all along the beach are establishments with umbrellas and chaises for you to rent. At the front gates are usually a snack bar, changing facilities, showers and a few other enticements that will hopefully lure you inside and prevent you from choosing the establishment next door. There was no end to this and it was completely not our scene, so we elected to leave and try and find another less organized beach scene. After about 2 hours of fruitless searching along the coast we are rewarded with the only 400 feet of uncluttered beach that exists along the Italian coast. We swim (very briefly), congratulate ourselves on our determination and ultimate victory and then pile back into Stinky and head north. Venice awaits.